A deep dive into insurance and financial services - COST Financial Group, Inc.
Financial services. It’s a word you hear tossed around a lot, but what does it actually mean? We live in a world governed by money and financial services providers are the companies that help keep the wheels of commerce greased. The economic services these companies provide encompass a huge range of businesses and financing types. From banks to credit unions to insurance companies and more, financial services are interwoven tightly throughout our society. The companies represented in this sector can be found just about anywhere, from small strip malls in little towns to entire floors in giant office buildings, they are everywhere. The large providers cluster in big cities and major financial centers. Since we provide services to insurance companies, we wanted to take some time to delve deeper into insurance companies and the different services they offer. Insurance Brokerages: Insurance brokers are the individuals and organizations who shop around for insurance on behalf of their clients. Insurance Underwriters: Insurance underwriters do exactly as the job description entails: they underwrite personal lines of insurance for their clients. Whether it be individuals or corporations, from life insurance to annuities or health insurance – they do it all. Financial Insurance Service Providers: These are related to car dealerships or other businesses where the insurance service is offered as a supplement to the asset sale. It is meant to ensure the asset sold by the dealer. Reinsurance: When an insurance company sells a policy to other insurers, this is called reinsurance. It is mainly sold to protect companies from catastrophic loss. Insurance companies operate within the financial services sector. Since they are responsible for taking in and paying out money, they are part of the overall financial system. 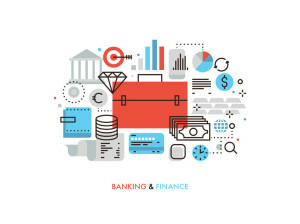 There are parts of the financial system that are similar to insurance, from asset management to venture capital and credit services. Their similarities lie in the fact that their main concern is investments and they carry the capital required to finance the services they offer as their primary products. As an example, asset management companies manage investments on behalf of individuals and businesses. Whether it be through investment advice or handling high net worth individuals’ assets. Venture capital firms provide financing for organizations looking to invest or purchase other companies. When a company they invest in makes money, so typically does the venture capital firm. There is a high amount of risk associated with venture capital investing. As a result, venture capital firms typically require a large portion of company ownership when dropping a significant investment in an operation. Here at COST Financial Group, we manage and operate premium finance companies owned by insurance agents, groups, and businesses. We have been building out our model and providing services to those within the insurance industry for over 25 years. We did this by reaching the understanding that outside companies could help insurance companies manage a separate profit center without having to run it themselves. As leaders in the premium financing sector, we work with our clients on a one-on-one basis, providing solutions that allow them to keep their business humming without having to worry about when the money is coming in and who is managing the operation. We are always staying aware of state regulations and adjusting our programs to meet the needs of our clients, wherever they may be. Let us put our experience to work for you!